Dependable Exterminating has the Know How To Get Rid Of Stink Bugs and will ensure you have a Stink Bug Free Home. Our Stink Bug Pest Control Technicians will create a solution to eliminate your Stink Bug Infestation. 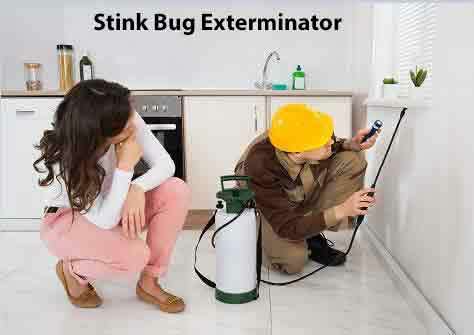 Let Us be your Stink Bug Extermination Company that you rely on, Call Us Today. 1-844-305-8999. Halyomorpha halys, also known as the brown marmorated stink bug, or simply the stink bug, is an insect in the family Pentatomidae that is native to China, Japan and Taiwan. It was accidentally introduced into the United States, with the first specimen being collected in September 1998. The brown marmorated stink bug is considered to be an agricultural pest, and by 2010–11 had become a season-long pest in U.S. orchards. It also becomes a nuisance pest of homes as it is attracted to the outside of houses on warm fall days in search of protected, overwintering sites and can enter houses in large numbers. Our Stink Bug Exterminators at Dependable Exterminating provide stink bug control solutions that will eliminate your stink bug infestation problems and prevent future infestations. 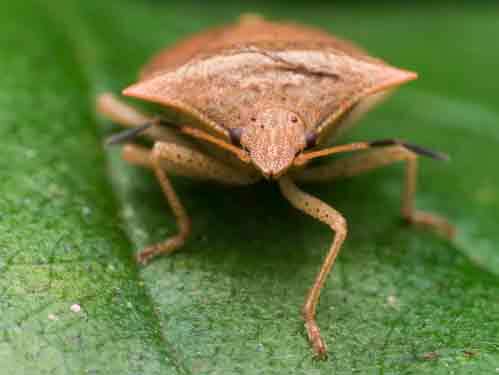 The adults are approximately 1.7 centimeters (0.67 in) long and about as wide, forming the shield shape characteristic of other stink bugs. They are various shades of brown on both the top and undersides, with gray, off-white, black, copper, and bluish markings. Markings unique to this species include alternating light bands on the antennae and alternating dark bands on the thin outer edge of the abdomen. The legs are brown with faint white mottling or banding. The stink glands are located on the underside of the thorax, between the first and second pair of legs, and on the dorsal surface of the abdomen. 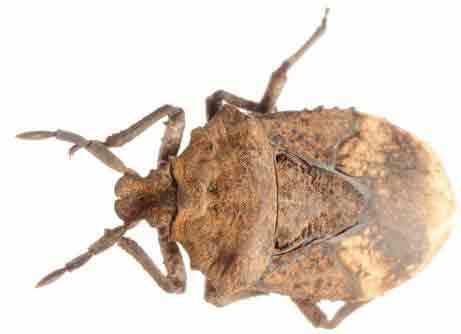 The brown marmorated stink bug is more likely to invade homes in the fall than others in the family. The bug survives the winter as an adult by entering houses and structures when autumn evenings become colder, often in the thousands. 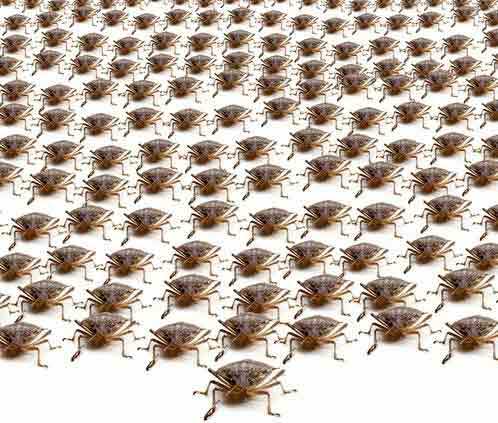 In one home more than 26,000 stink bugs were found overwintering. Adults can live from several months to a year. They will enter under siding, into soffits, around window and door frames, chimneys, or any space which has openings big enough to fit through. Once inside the house, they will go into a state of hibernation. They wait for winter to pass, but often the warmth inside the house causes them to become active, and they may fly clumsily around light fixtures. Two important vectors of this pest are landscape ornamental Tree of Heaven and Princess Tree. If you have Stink Bugs call our Stink Bug Exterminators at Dependable Exterminating. 1-844-305-8999.